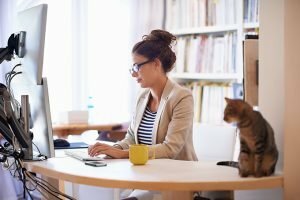 Do you work from home with your kitty there? Do you find that they hinder your work day? What do you do to insure your work day flows smoothly? Let us know your tips and tricks in the comments below.